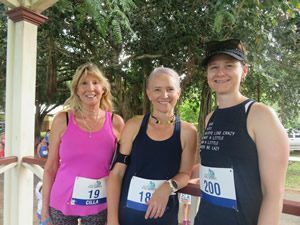 The first Club Championship race on the 2018 Mackay Road Runners Calendar was a very successful event, with over eighty runners competing for open and age category club championship points. Club President, Tim Magoffin, welcomed many new and existing runners to the Club’s events which are always a friendly and enjoyable affair. He also impressed on all runners that they must arrive at least half an hour prior to racing so that race day volunteers including timekeepers and registrar can close off in readiness for the race to commence on the advertised time. It is also crucial for volunteers to be considered at all times…they are an integral part of the club and also like to prepare for their event. 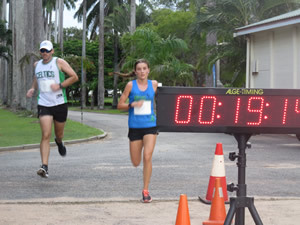 Members must always wear their timing chip and race numbers so that they are readily identified for efficient collation of results as well as health and safety requirements. It is of utmost importance that runners listen carefully to the pre-race briefing which includes relevant club information, course briefing and safety advices. Talented Julian Picot ran a sensational race in the testing conditions which included high humidity and threatening rain prior and throughout the 5km race. Julian’s time of 16 minutes 36 seconds was a solid win over fast finishing Carl Pinkstone and very talented junior runner, Will Morgan. Will missed his goal time of under eighteen minutes by three seconds, however, his exceptional form so early in the season promises improvement with each run ie he’ll be breaking the eighteen minute barrier in no time. In the female category, junior Rachel Silvestri also ran a great race, taking maximum club championship points by sprinting to the finish line in nineteen minutes fourteen seconds with a bevy of top class runners, including Irish compatriot, Shane Ward. Year twelve student Rachel is set for a big year which includes her final academic studies and her many athletic interests. Second placed, Ashlee Scott (20:40) also continued her fine form, easily completing the 5km event ahead of tenacious sprint queen, Alana Ford. With over eighty runners in the quality field, there were so many outstanding performances including but not limited to Ryan Palazzi, Lindsey Wiggins, Mark McFadzen, Tim Caddy, Simba Walz, Jarrod Spence, Greame Harris, Scott McIntosh, Matt Graves, Wayne McMurtrie, Ainslie Heinke, Carolyn Steginga, Carmel Mahon, June Bradley, Jose Short, Brittany Suratman, Kylie Harbour, Jo Ashford, Karlee Hayden, Tammy Wanstall, Jo Skinner, Mark Pashalis, Judy Zahn, Jenny Smith, Bernadine McKinnon, Brenda Windsor, David Isbister, Cilla Martland, Tim Magoffin, Mark Takagaki, Andrew Short, and Stuart Sprott. 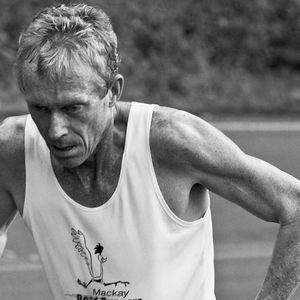 Meanwhile, this Sunday’s Mackay Road Runners handicap start 5km & 8km event commences at 5pm from the Ocean International park precincts, beach end of Bridge Road….all welcome !